The white form is preset to search for SUV and crossover vehicles in the 'Rijeka Airport' rental office. Address: Rijeka Airport, Rijeka, Rijeka, Kroatia. In Rijeka, we offer vehicles at 2 different rental locations (see the links below). Normally, the best SUV rental offers in Kroatia are provided by offices located in airports and train stations. We recommend the following principle for selection of an off-road model for trips in Kroatia: if your planned routes are mainly within a city borders – a small crossover, while if the routes go through countryside or mountain regions – a large and powerful off-road 4x4 car. The most popular SUV models offered at rental locations in Rijeka are: BMW X3, BMW X5, Toyota Rav4, Hyundai Santa Fe, Kia Sportage, Daihatsu Terios and others. While selecting your preferred model of an off-road vehicle, please examine the rental conditions. In particular, those requirements that concern credit cards – when it comes to renting an expensive car, sometimes offices in Kroatia ask information about two credit cards. If you plan to use an off-road vehicle in the mountains, it is recommended to order snow chains. This will save you from unexpected incidents. Other important equipment in Kroatia are mandatory child seats for travellers with children. OrangeSmile.com wishes you a safe trip and green lights on the roads of Rijeka! You will need to pay some extra fees in order to be able to drive on some highways, bridges, and tunnels. It is worth noting that in different parts of the country toll roads are managed by different organizations, so the amount of the toll varies in different roads. As a rule, the toll amount depends on the size of the vehicle. All toll roads are equipped with special checkpoints, where motorists need to get a ticket for payment. The payment is made at the exit from the toll road, and it is only possible to pay if you have the ticket got at the entrance. You can pay the due sum in cash in both kuna and euro. However, even if you pay in euro, the change will be still given in kuna. Usual payment options also include credit cards of the following types: VISA, Maestro, Master Card, American Express, Diners Card and INA card. Many local drivers use electronic payment systems. 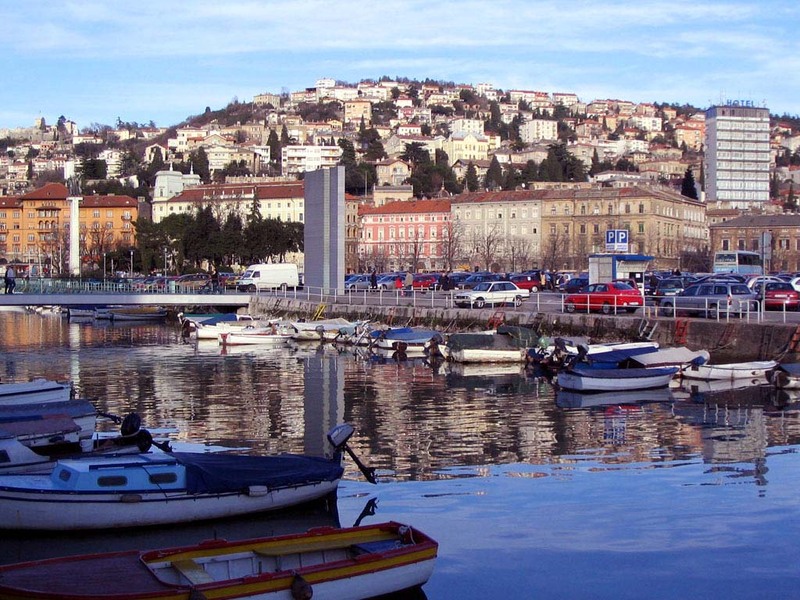 The largest port city in Croatia and a major transportation center, Rijeka is also a popular tourist area. 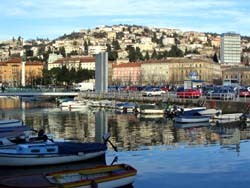 The central part of the city, which is called Korzo, is the most notable in Rijeka. There is absolutely no transport here and all streets are pedestrians only. During your walk in this city you will be able to see most popular shops and restaurants, visit new movie theaters, or simply relax in a park. One of the most colorful markets of the city is also located here. Visitors usually adore traditional gifts of Rijeka, which the locals call moric. These are small items depicting heads of Moor made of silver. These may be small brooches, pendants or earrings. Many interesting legends are associated with this kind of souvenir and every trader or a local resident will gladly tell you a couple of them. There are also several historical attractions in the city. They are mostly located in the so-called Old Town. The City Tower, which has been standing here since ancient times, is the symbolic entrance to the Old Town. It is decorated with images of the great Austrian Emperors Charles VI and Leopold I. Don’t forget to visit Trsat Castle as this is one of the most significant architectural complexes of Rijeka. The castle is located on one of the highest hills of the city. After the excursion in the castle you can go to the observation area and enjoy the beautiful panorama of the city. The construction of the castle took place in the 13th century. In order to reach the entrance to the castle from the foot of the hill, visitors will need to pass 538 steps of steep stairs. Those tourists, who wish to make the excursion more comfortable, can use a funicular lift. Besides the beautiful castle, which is built in the late Gothic style, the hill is the location of Church of Trsat Mother of God and Franciscan Monastery. These are the most important religious sights of Rijeka.